Vivian is from a small town in East Texas. She loves being involved in her church and has had a beauty shop in Hitchcock, for the last 15 years. She has been a real estate agent for several years now for family and friends. She is now working for Leopold & Strahan Realty Group, LLC., and working on real estate full time. She really enjoys representing the buyer as well as the seller. She is currently working on more classes as the Real Estate market is always changing and she wants to stay on top of things to better represent her clients. Her favorite thing is getting someone into a home when they thought they couldn’t. 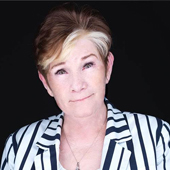 She now has experience in selling vacant lots, rental properties, some commercial properties, and many single family homes, as well as representing the buyers and sellers.